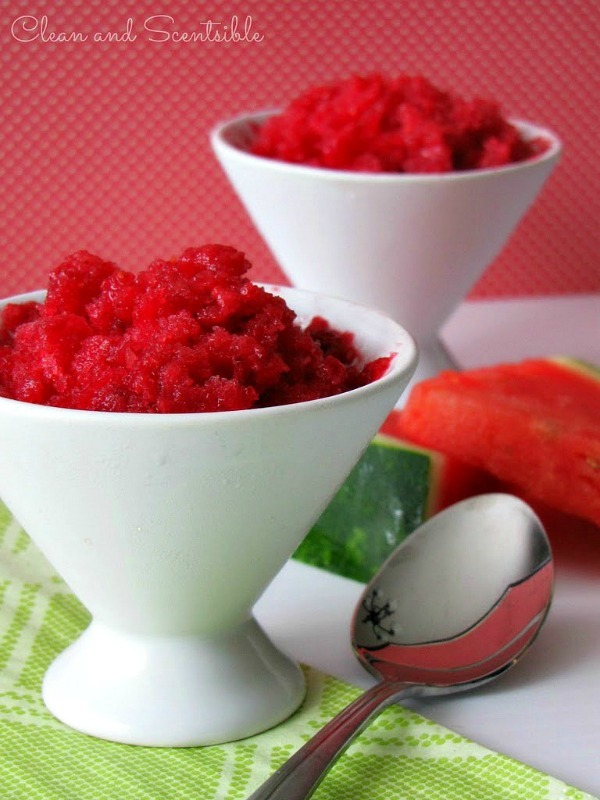 This raspberry watermelon granita is one of my favorite summertime treats! 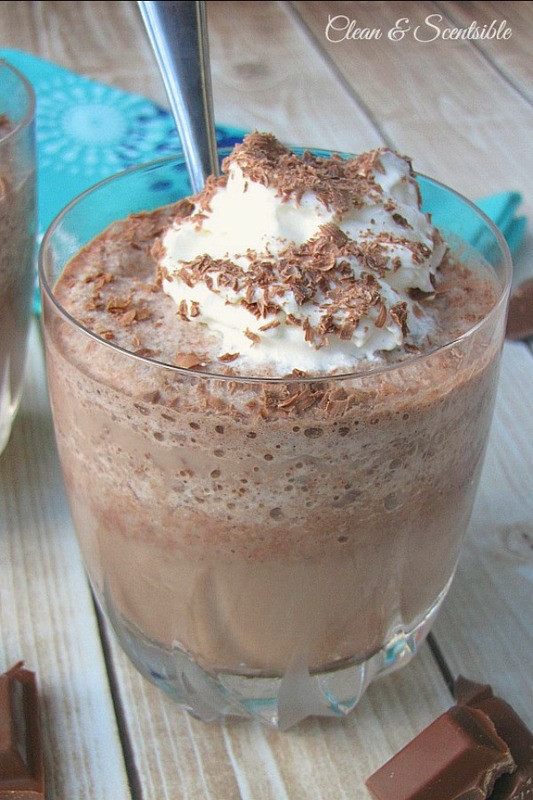 It’s so tasty and refreshing, you’d never guess that it’s less than 100 calories per serving! I love summertime treats! There’s nothing better than sitting outside on a hot day with a refreshing treat to cool down with. Unfortunately, they’re not always calorie-friendly, and all of those treats can really add up. This raspberry watermelon granita, however, is less than 100 calories and will still allow you to fit into your bathing suit. And it’s so good that you won’t feel deprived! 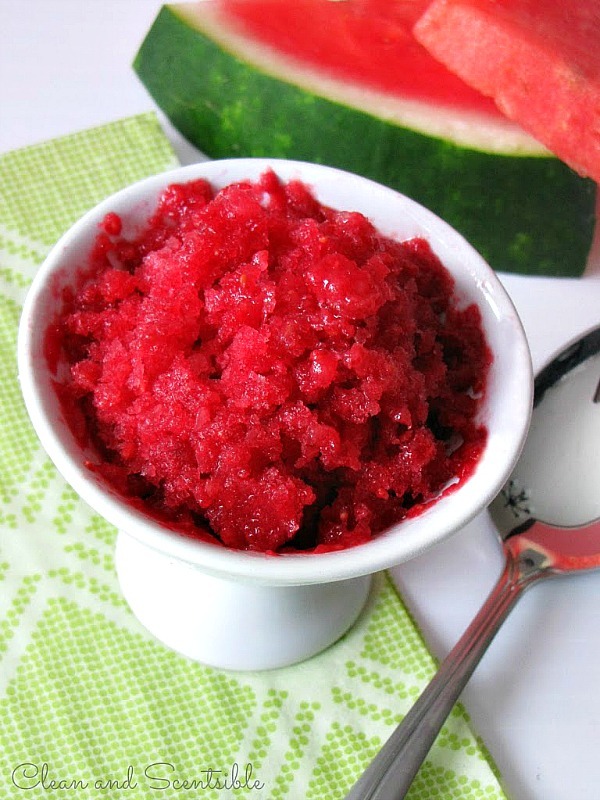 This raspberry watermelon granita is a great healthy, low-calorie treat and is so refreshing and delicious. Perfect for those hot summer days! Puree the watermelon and raspberries in a food processor or blender. Depending on the size of your blender you may need to do this in two batches. Combine the sugar and gelatin in a small sauce pan and stir over low heat until gelatin dissolves. Stir in juice. Combine about half of the sugar mixture with the puree. Slowly add the remainder of the mixture to taste depending on how sweet you would like your granita to be. Remember that it will lose a little of the sweetness once frozen. Pour into a 9 x 9 baking pan, cover with foil, and place in freezer. Freeze for at least 2-3 hours and then use a fork to scrape along the top layers creating an icy texture. Continue until you start to get close to the less-frozen middle and then place back in the freezer. Repeat this process until it is all scraped. Makes about 10-12 servings. **NOTE: Don't worry if you won't be around to scrape it every couple of hours. I often just leave it overnight and then scrape it in one go - it just requires a little more muscle! If you only need a couple of servings, just scrape what you need and place the rest back in the freezer. The best thing about this dessert, is that you can leave it covered in the freezer and just scrape away what you need. I always like to have a batch on hand for anytime those sweet cravings hit and love that I don’t have to feel guilty having a second scoop! 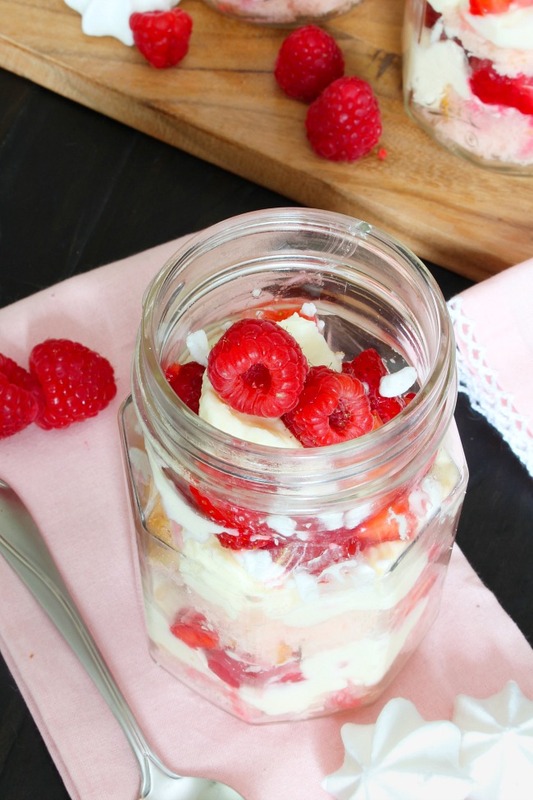 It’s the perfect low-calorie treat for those hot summer days and a kid-favorite as well! Can’t you just taste it? This looks wonderful for a hot summer day. Putting on my pinterest board. Have a great vacation. Found you through the Inspire Me Please link party. This looks so amazing and refreshing! Thank you so much for sharing at Monday Funday this week! Have a good one! That sounds so refreshing and perfect for a hot summer day! I hope you had/have an awesome time at the beach!!!! These look awesome! 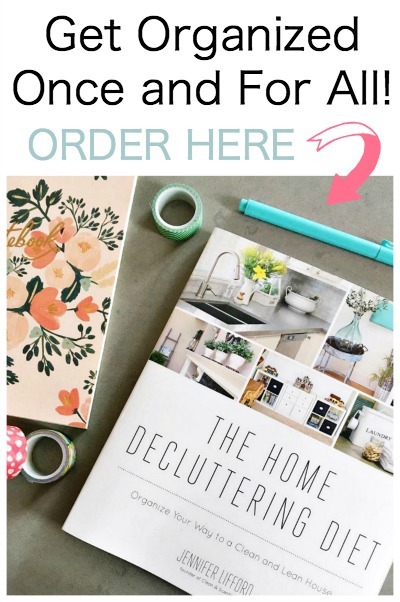 I can’t wait to try making them! 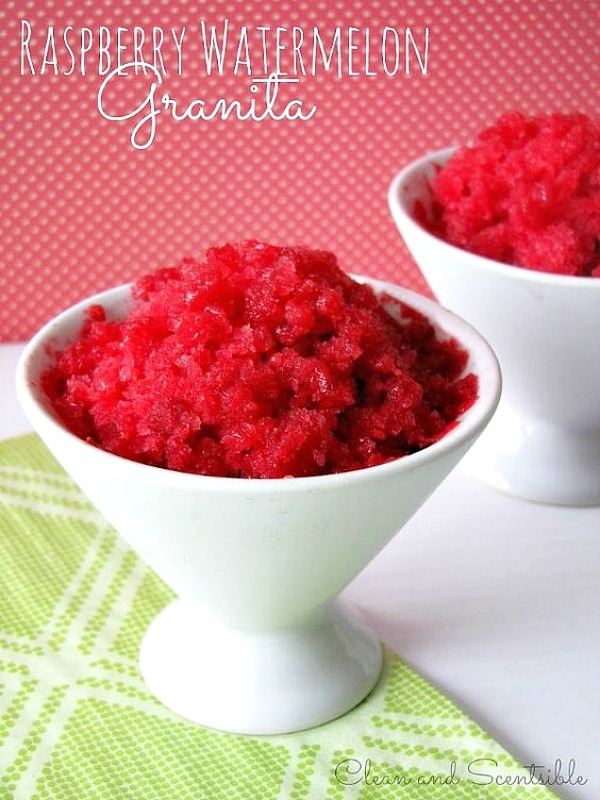 I have been wanting to make a granita!!!! Now I am inspired! That sounds amazing, Jenn! Love it! Yummmy! 🙂 Have fun on your trip! Hi 🙂 I’d love for you to come by and share this at my Saturday Spotlight Link Party. Hope to see you there! This is so gorgeous and looks delicious! I just love that color! YUM!! 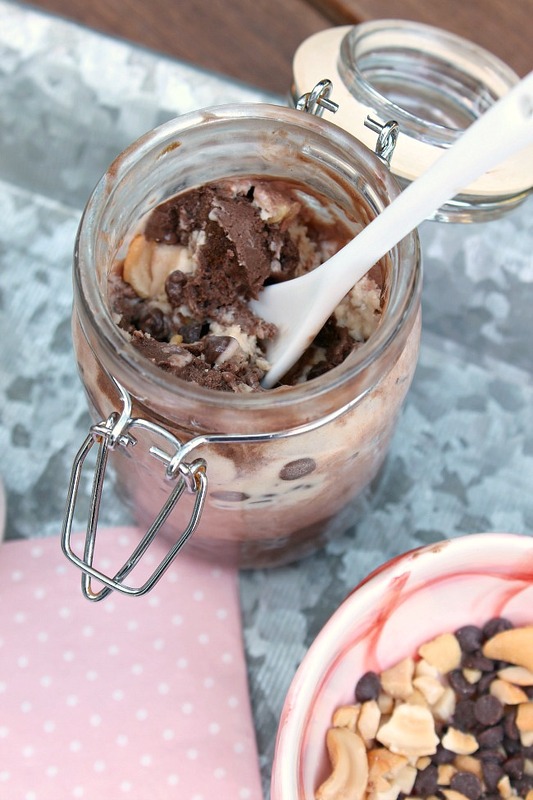 This sounds like the perfect summer treat for my sweet tooth! This looks so delish! a nice and refreshing summer treat! YUM! Saw you over on 6 sisters and had to stop over! My husband is super obsessed with watermelon right now. Maybe I’ll surprise him with this tasty-looking treat tonight. Thanks for linking up with us at the #homematterparty. We’re glad to have you!